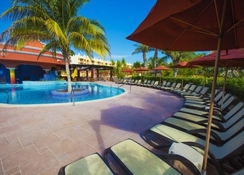 The Royal Haciendas Hotel is situated on a sheltered stretch of sand amid Riviera Maya's famous oceanfront golf community, close to the picturesque El Camaleon Golf Club. 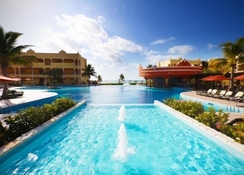 The 5-star beachfront resort offers a tranquil stay surrounded by lush gardens and gorgeous architecture, yet, is just 10-minutes from lively Playa del Carmen for guests after a livelier pace. 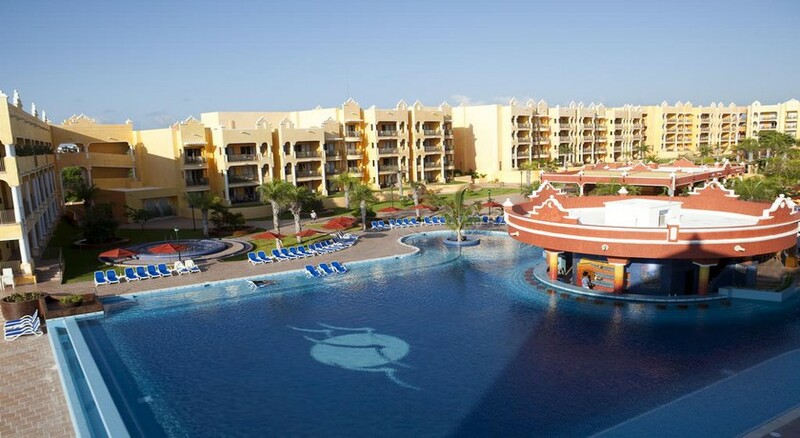 The hotel boasts 252 guest rooms, many of which feature balconies with stunning ocean views. When you're not relaxing in your luxurious suite, spend time by one of the swimming pools, unwind at the full-service spa, try your hand at yoga or hit the fitness centre, or head to the popular diving centre to explore the second largest coral reef in the world. Better still, if you've got kids in tow, the fun-loving kids' club is open from 9am to 6pm. A complimentary shuttle service can take guests to other attractions in the nearby area, which is dotted with beaches and bars. There are also many opportunities for visitors to try their hand at various watersports while on holiday in Mexico. 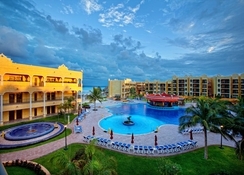 The Royal Haciendas Hotel is situated inside Riviera Maya's most esteemed oceanfront golf community. 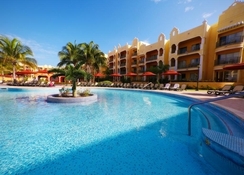 It's a 10-minute drive from popular resort Playa del Carmen, only 30 minutes from Cancun International Airport and a short ride on a boat from picturesque Cozumel. 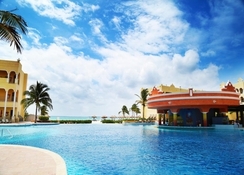 The hotel is close to the Xcaret Park for a fun-loving afternoon with the family. The hotel offers beautiful accommodation with light and airy rooms, suites and villas catering to all guests. Every room features premium amenities to ensure ultimate comfort, including private bathrooms, a kitchenette, Wi-Fi and more. Guests can choose from Deluxe Junior Suites offering ocean views, Deluxe Junior Suite Beachfront, Deluxe One Bedroom Suite with ocean views, Deluxe One Bedroom Suite Beachfront, Deluxe Two Bedroom Master Suite with views of the ocean and Deluxe Two Bedroom Master Suite Beachfront. With the all inclusive stay, guests can visit the hotel's chic selection of restaurants and bars, offering local and International cuisines and picturesque sea views to match. La Palapa del Sol restaurant offers traditional Mexican and international cuisine, while Los Murales serves up delicious Mediterranean dishes and Sol and Luna Grill specialises in spectacular fresh seafood dishes. 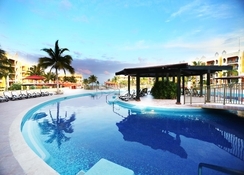 Sol and Luna Bars and La Rotonda Sports Bar is where guests can pick up sushi, snacks and drinks by the pool. Unwind on the Caribbean shoreline with the fantastic stretch of beach and bundles of watersports on your doorstep. There are activities for youngsters and grown-ups to have a ton of fun, from rackets and tennis balls, to swimming and scuba diving - check out the local diving centre! If you want to unwind, lounge by one of the hotel swimming pools or head to the in-house spa for a variety of treatments.